An introduction to climbing for individuals and groups wanting to experience outdoor climbing. Based on your experience and group make up, we will select a climbing venue. Because of KMAC’s long history in the area, we have more permits for local climbing areas than anyone else. We can choose from many sites that are all minutes away from town, so you’ll be able to gear up, cover the basics, and begin climbing and rappelling right away! Perfect for individuals, small children, and groups. The Taste of Climbing can be scheduled anytime during the day for your convenience. When thinking about what time you would like to start keep in mind around 95% of mornings have good weather here, and about 50% of afternoons do. Please contact us if you have any questions. *Note: Last Minute Reservations – We appreciate at least three days notice to make a reservation. Within three days of your preferred dates, please call our office and we will do our best to accommodate you. Our best entry level trip. This day isn’t any harder than a 4 hour trip, but the extra 2 hours allow us the time to hike a little further. The 4 hour trip is so quick that we need to go to places with a very short hike in. The 6 Hour trip lets us hike further in, usually to Jurassic Park, a world-class venue with over 50 different climbs from super easy (5.5) to very challenging (5.12). The hike in takes about 40 minutes, but everyone agrees it was worth it. 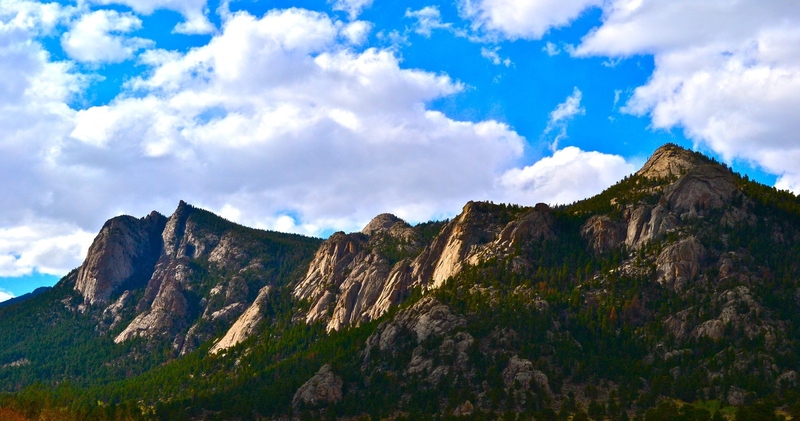 The cliffs sit on top of a small mountain on the edge of Rocky Mountain National Park with epic views in all directions. If you have climbed in a gym before and are ready to make the move to climbing outdoors, this is the premier day, one you will never forget. Please contact us if you have any questions. This is it, your dream day! 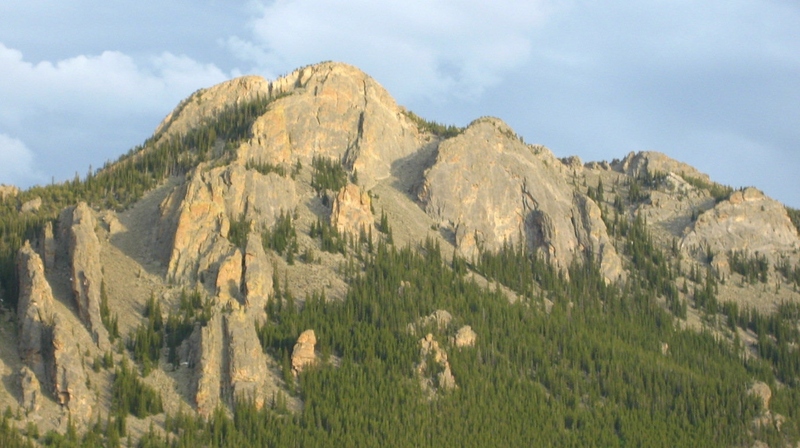 A full day of climbing at your choice of crag with everything Estes Valley has to offer. If you want to sport climb we can go to Jurassic Park, the Monastery, or the Wizards Gate. If you like cracks we have Lumpy Ridge, or the Crags of Twin Sisters. There are literally thousands of pitches we can choose from. Let us know what your perfect day of climbing is, and we will make it happen. Just put that you would like a gym to crag lesson in the notes and we will take it from there! !